Ring-Moon Systems Node - PIA07568: D is for "Dust"
This close-up view is Cassini's best look yet at Saturn's tenuous innermost D ring. The narrow ringlet visible here is named "D68" and is the innermost discrete feature in the D ring. The image also clearly shows how the diffuse component of the D-ring tapers off as it approaches the planet. 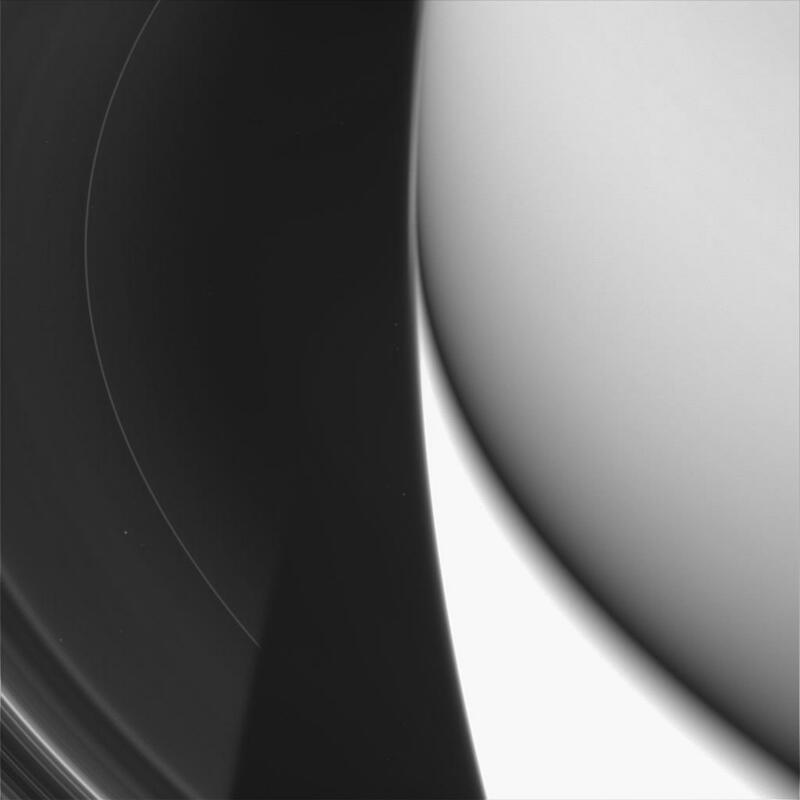 The view is looking down on the dark side of the rings, with the planet's lower half being illuminated by reflected light from the rings. The upper half of the planet is also dark. The image was taken at a high phase angle -- the Sun-Saturn-spacecraft angle, which was 177 degrees. Viewing the rings at high phase angle makes the finest dusty particles visible. The inner edge of the C ring enters the scene at the lower left, and Saturn's shadow cuts off the view of the rings. Several background stars can also be seen here. The image was taken in visible light with the Cassini spacecraft wide-angle camera on July 15, 2005, at a distance of approximately 293,000 kilometers (182,000 miles) from Saturn. The image scale is 14 kilometers (9 miles) per pixel.